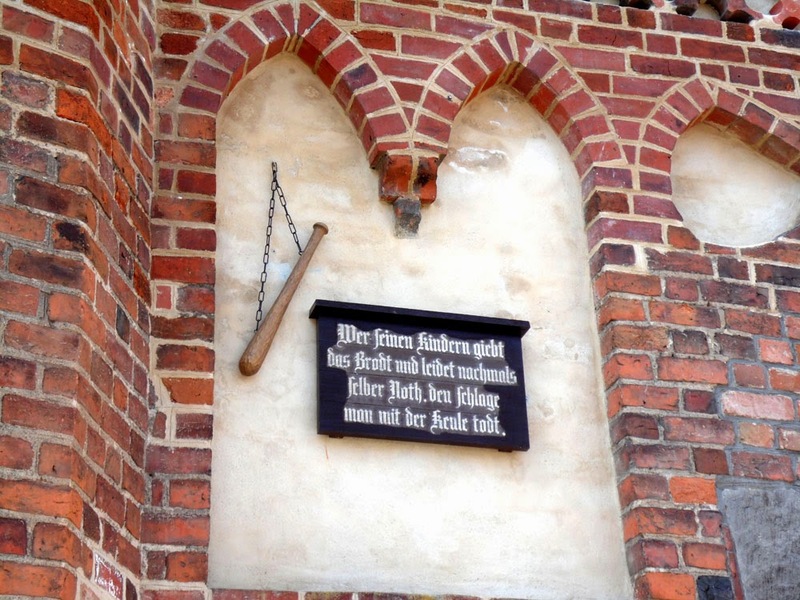 Jüterbog has three gates in its town walls, and attached to each is a curious cudgel and plaque with a Jüterbog proverb (Sprichwort). man mit der Keule todt. Note the mediaeval German spellings of Brodt (Brot=bread) and Noth (Not=hardship). That's a bit like in England where you have 'Ye Olde Tea Shoppe'. Translated, the Jüterboger folk-saying loosely means "He who gives his children bread, and afterwards himself suffers hardship, then (the offspring?) should be cudgelled to death with this club". Or at least that it how I interpret it; it is a bit ambiguous. There is a supporting legend that once upon a time (es war einmal ...) there was a man who was born into poverty and worked himself up to be successful and wealthy. Now this man had three sons, and he lavished his wealth on them, such that he himself got into destitution. But none of his sons would help them. When the man died, his three sons and heirs fought in court over the ownership of their father's possessions, which amounted only to a large, very heavy, bound wooden chest. Full of hoarded gold perhaps? But no, when the chest was opened it contained only stones, and a cudgel and a note lying on top of them with the above 'message' and instructions that they be reproduced and hung over the town's gates as a warning to ungrateful offspring. Well, that's the story anyhow. 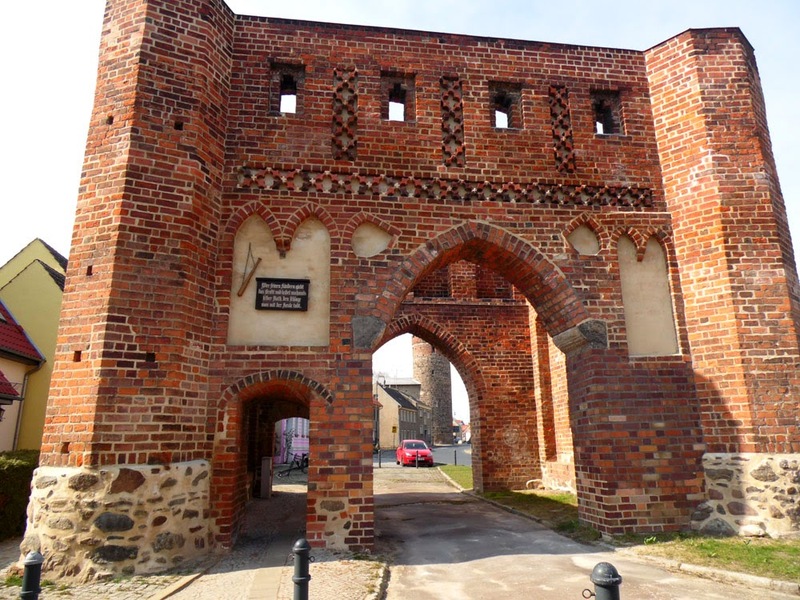 Pictured is the cudgel and plaque over the Neumarkttor (New Market Gate). The cudegl is above the arch on the left.